The man with four friends – duplo storytelling | Let their light shine! One of the homes Jesus visited was the place where the paralysed man was healed. Luke 5:17- 26. 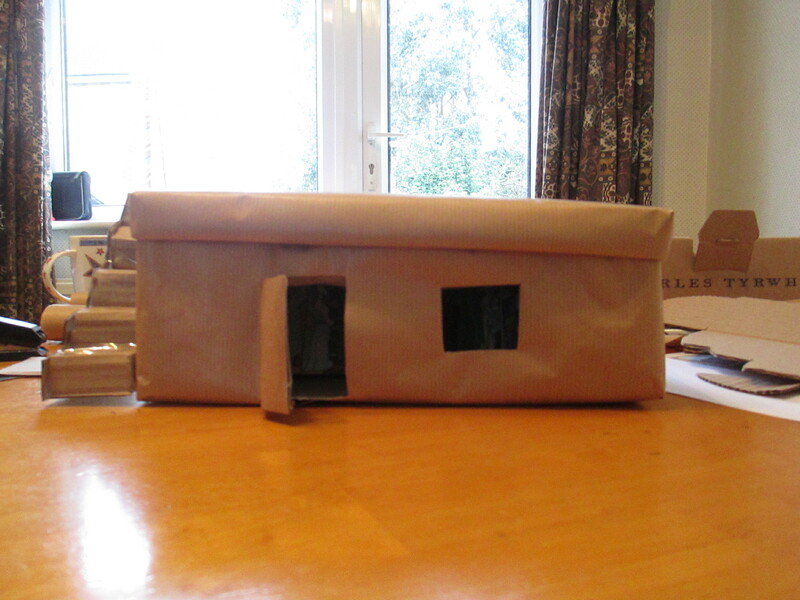 If you look very closely you can just see crowds of people in the model of the house. 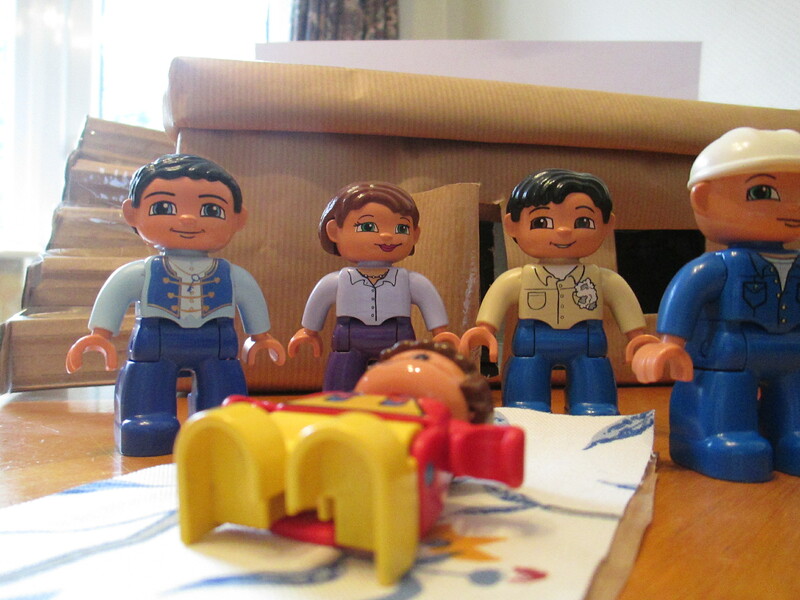 To tell the story to young children you could use lego duplo figures. 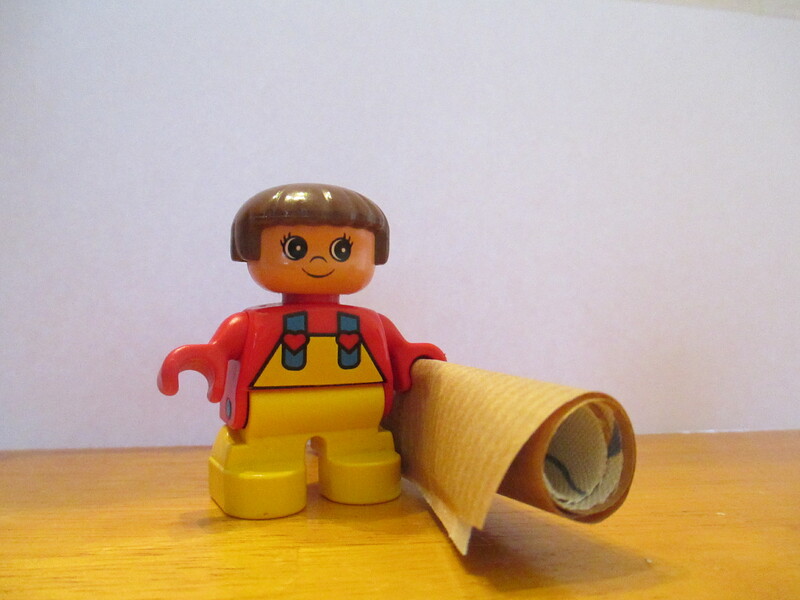 ( Of course avoid the clearly identifiable charcters such as Bob the Builder) The mat is brown paper and material – chosen because it has to be rolled up. It fits really well in the duplo figures hand. If you didn’t want to use duplo for telling the story you could let a small group play with the figures and model afterwards to retell the story to you.